We're about to take you on a little trip down memory lane. Think back to a simpler time when charm bracelets were all you cared about. Charms became somewhat of a collector's item to you as you clipped on as many as possible to your Tiffany's or Juicy Couture link bracelet. Each represented a memory of some sort or was simply a symbol of how easily you could manipulate your mother into buying you things you didn't need (just me?). Well, fast-forward to 2018, and the nostalgic jewelry trend is officially cool again. We've noticed the style popping up all over the marketplace as of late, but it wasn't until doing a deeper dive that we realized nearly all the major designers in the industry—including Dolce & Gabbana, Gucci, and Oscar de la Renta—are partaking in the trend as well. Are charm bracelets finally becoming a phenomenon again? The answer, my friends, is yes. 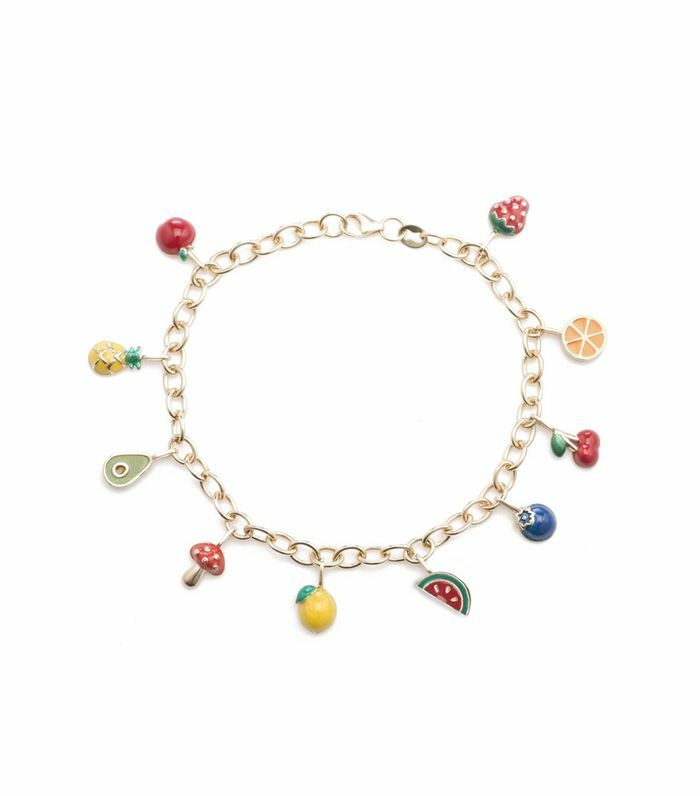 Now, enough gabbing—ahead, shop the charm bracelets that will instantly bring a smile to your face. Coming in an array of styles ranging from delicate gold charms to chunky sartorial statement pieces, this jewelry trend is taking over, and we are here for it. These charms were found under the sea. Nothing screams fashion girl more than this bracelet. Layer this with your other arm candy with ease. Leave it to Dolce & Gabbana to bring the drama. Adorable doesn't even begin to cut it. If this doesn't remind you of a bracelet you had back in the '90s, I don't know what will. Clearly, designers are taking a major liking to this trend. One of our favorite jewelry designers, hands down. In case you're really into subtlety. If you haven't checked out this jewelry brand, please do. Note: The bracelet and charms are sold separately. That little elephant is sure to be a conversation starter. Wear this with a little black dress and you'll have yourself a killer look. Because baguettes can be charms too. Apparently, shells are the jewelry trend that will never die. Don't worry—barely there charms still count. How dead are you at these mini robots? Next up, shop 21 of this week's best arrivals.